Do you have a child who will be attending prom this year? It’s always an amazing experience for students who have worked hard and gotten all the way through school to have one fantastic send off into whatever awaits them in the world. If your child is looking at going to prom this year, you might be wondering just how you can do prom on a budget. Here are some fantastic suggestions to help you and your child do prom on the cheap. Helping your child make their own accessories or corsages is never a bad idea and can be an immensely fun activity to help you two bond. After all, if they’re planning to go off to college or university soon, it’s likely that bonding moments will become few and far between, so cherish them while you can! Use artificial flowers for the opportunity to keep the corsage or hair pieces you make after the prom party, for use as general decor or for fancier outings or holiday parties. While it sounds silly to rent something instead of buying it, people have been doing it for a long time. Most guys in fact rent tuxedos instead of buying them as tuxes are one of those things that are costly and you rarely wear unless you’re some kind of socialite constantly going to fancy ballroom kinds of parties. Renting a tuxedo is considered a massive savings when compared to the full price of buying one new. When it comes to long prom dresses though, buying is best. There’s not typically a place to rent prom dresses in many areas, especially considering a prom dress is something a girl wants to have and hold and be hers forever. Cheap prom dresses online is a great way to save money on gorgeous, quality dresses your daughter will cherish. When it comes to huge expenses, cutting corners on things that are ‘nice to have’ is a necessity in order to save money. Of course every child wants the dream prom experience, but sometimes it just isn’t possible and they have to make decisions on things they want. Limousine transport is one such expense that is a luxury and not a necessity, and so it can be cut, along with professional makeup and nails, and possibly even hair if you know someone who is happy to do the hair for you for cheap or free. Prom season is always an exciting time for teens and students when they get to have a huge celebration in their honour with glitzy clothes, dancing and dinners. It can be hugely fun but also a massive drain on the parents’ finances. 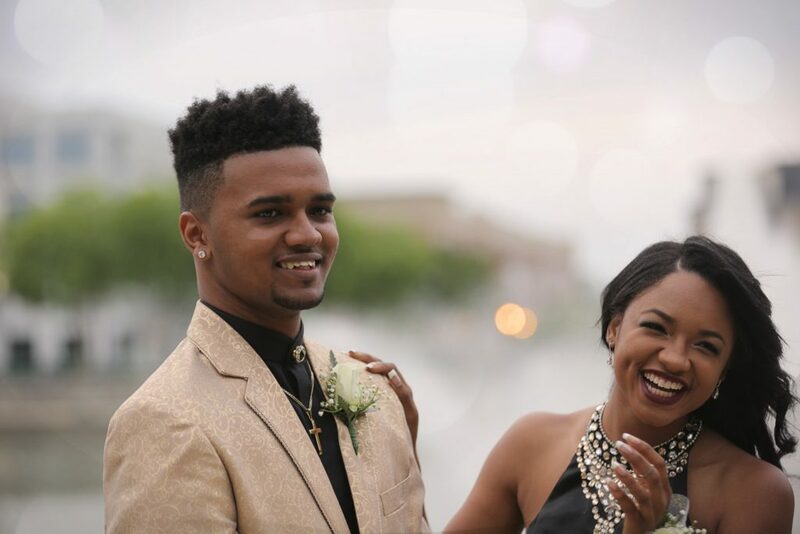 Keep it cool and be sure to manage your child’s expectations when it comes to prom to avoid disappointment in wanting something they can’t have. Most of all, try to take time for you – it can be tough to have an emotional teenager stressing over prom around, but trust that they’ll have the time of their life!